Try Frozen Synapse for free, fall in love, then get two copies for 50% off. 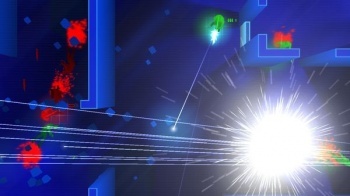 Indie PC developer Mode 7 has finally released a demo for its terrific Frozen Synapse. What timing, too: If you fall in love with the free trial, the turn-based strategy shooter is on sale via Steam for Mac and PC at half its original price. So what's in the demo, exactly? You'll find three single-player missions and a random solo skirmish map included, as well as a thorough tutorial to show you the ropes of its complex tactical pew-pew-pewing. With no competitive multiplayer sample, you'll miss out on what truly makes this trippy Tron-lookalike the stellar strategy game it is. You'll need to pull the trigger on its $12.50 sale price to access the objective-oriented online modes. Apple enthusiasts are out of luck on the free trial front, but Mode 7 has a Mac demo in the works with an unspecified release window. The best bit about the sale, though, is an extension of something Frozen Synapse had going for it in the first place. One purchase at $25 already scored buyers two copies; splitting the cost with a pal, if you can't be bothered to just give your spare copy away, means you're now getting one of the year's best games for a measly six-and-a-half bucks each. The Frozen Synapse sale runs through the weekend and ends Monday, August 15.